The Indian Air Force chief’s statement came in response to queries regarding reports in some local newspapers that the Indian Air Force had asked for a classified briefing on the F-35 after the defense ministry scrapped the proposal for local production of foreign-origin fighter jets in India. 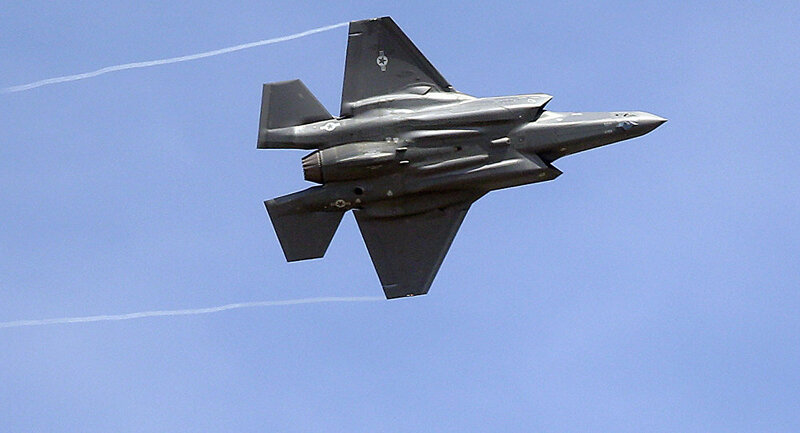 New Delhi (Sputnik) — The Indian Air Force (IAF) has once again denied reports that it is interested in procuring Lockheed Martin's F-35 fighter jets. IAF chief B. S. Dhanoa has categorically rubbished such reports in a section of the Indian media. "There is not talk on F-35. The Indian Air Force has not evinced interest and not talked to anyone. It is incorrect to report that we are interested in F-35," Air Chief Marshal B. S. Dhanoa said at a program organized by a think tank in New Delhi on Thursday evening. When asked about the prospects of the Indo-Russia Fifth Generation Fighter Aircraft (FGFA) project, which is pending since over a decade, the air force chief said that the decision is with the Indian government. "FGFA decision is with the government and that is classified," Air Chief Marchal Dhanoa said. Last week, the Indian Daily Business Standard reported that India's National Security Advisor Ajit Doval and Defense Secretary Sanjay Mitra in February this year had asked the Russians to proceed alone with developing the FGFA. "India might possibly join the project later, or buy the fully developed fighter outright, after it entered service with the Russian Air Force," the Business Standard report read. The IAF recently redrafted its list of priorities, wherein the acquisition of fighter aircraft is followed by the procurement of the long-range SAM S-400 system. From September 2019, the induction process of 36 Rafale fighter jets will begin, while the acquisition of additional fighter jets will be decided in the next two to three years, for which request for information has been put out last month. Meanwhile, the Indian Air Force chief has categorically denied any threat to India-Russia defense deals due to the implementation of the Countering America's Enemy's Through Sanctions Act (CAATSA) by the Trump administration. Air Chief Marshal B. S. Dhanoa informed that the IAF has been continuing procurement of spare parts from Russian firms for its fighter jets despite CAATSA, which seeks to impose sanctions on individuals and countries that deal with Russia's intelligence and defense sectors. Air Chief Marshal Dhanoa also pitched for the country's own fifth-generation fighter jet program, named AMCA, in the long-term perspective. The Aeronautical Development Agency (ADA), Bengaluru, issued a detailed document along with the Request for Expression of Interest to private industries earlier this month for the manufacture of two technology demonstrators, as well as the prototypes. The flight tests of these technology demonstrators are likely to be completed by 2024, followed by the development of prototypes of AMCA. Currently, there are 31 squadrons of fighter jets (18-20 aircraft per squadron) with the Indian Air Force (IAF), compared to the required strength of 42 squadrons.